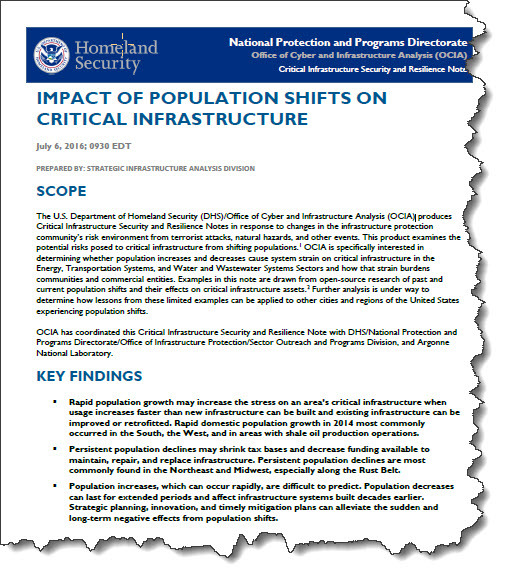 In early July the U.S. Department of Homeland Security (DHS)/Office of Cyber and Infrastructure Analysis (OCIA) published an analysis entitled Impact of Population Shifts on Critical Infrastructure. The report is a very compelling and interesting read and gives you a sense of how hard it is to augment infrastructure when the population is increasing (such as in the areas where fracking is in progress) and, how difficult it is to maintain current infrastructure when your tax base -- i.e., population -- is leaving as in the Rust Belt of the US. 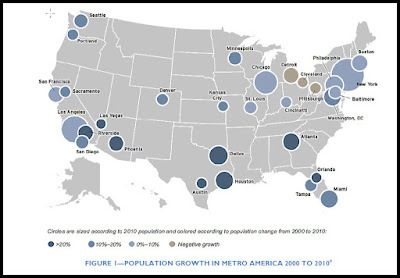 The map does reflect population shifts from the Northeast and Midwest to the South and West -- especially Texas, Georgia and Arizona/Nevada. According to the report, the new growth is in part because of high-technology magnet areas in the West and South, energy development of shale gas and shale oil in rural areas throughout the country, and regrowth in cities in the South and West with housing-led reversals. This growth is also partially because of lower costs of living, potentially including lower tax rates. Challenges in funding immediately needed infrastructure upgrades since available money may be delayed due to tax and revenue stream deferrals to later years. Strategic Planning -- For rapidly increasing population growth, strategic planning is critical for meeting increases in demand -- especially because of the lead-time needed for financing; designing and planning projects; obtaining regulatory approvals; siting and constructing the infrastructure. Public-Private Partnerships -- These partnerships and their collective approach can be useful for infrastructure planning/development/maintenance during times of population growth or decline. 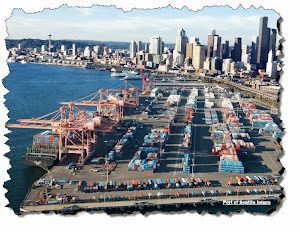 Don't forget, most of the critical infrastructure in the US is privately owned. And because these private entities rely on state/local government approval to deploy large infrastructure projects their partnership and cooperation is critical.